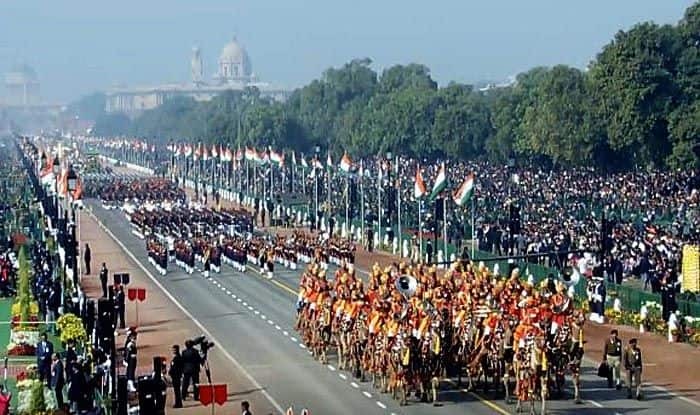 This is probably the largest participation of women officers in R-Day parade yet. The all-women Assam Rifles contingent will also create history this year by participating for the first time. Maj Khushboo Kanwar, 30, will lead a contingent of the Assam Rifles, the oldest paramilitary force in the country. “Leading an all-women contingent of the Assam Rifles is a matter of great honour and pride for me. We have practised hard…I am a daughter of a bus conductor from Rajasthan and if I can accomplish this, then any girl can fulfil her dream,” she said. It only gets better with Captain Shikha Surabhi from the Corps of Signals performing bike stunts alongside her male teammates as part of Daredevils, a major attraction every Republic Day. “I am the first woman to be part of Daredevils segment of the parade. It took a lot of practice to perfect the stunts. But I am proud of this accomplishment. Women can do anything,” said the 28-year-old officer who hails from Jharkhand’s Hazaribagh. “I will perform a standing salute on a bike,” she said. Fronting the transportable satellite terminal’s contingent is Captain Bhavna Syal, a third-generation officer in the armed forces.